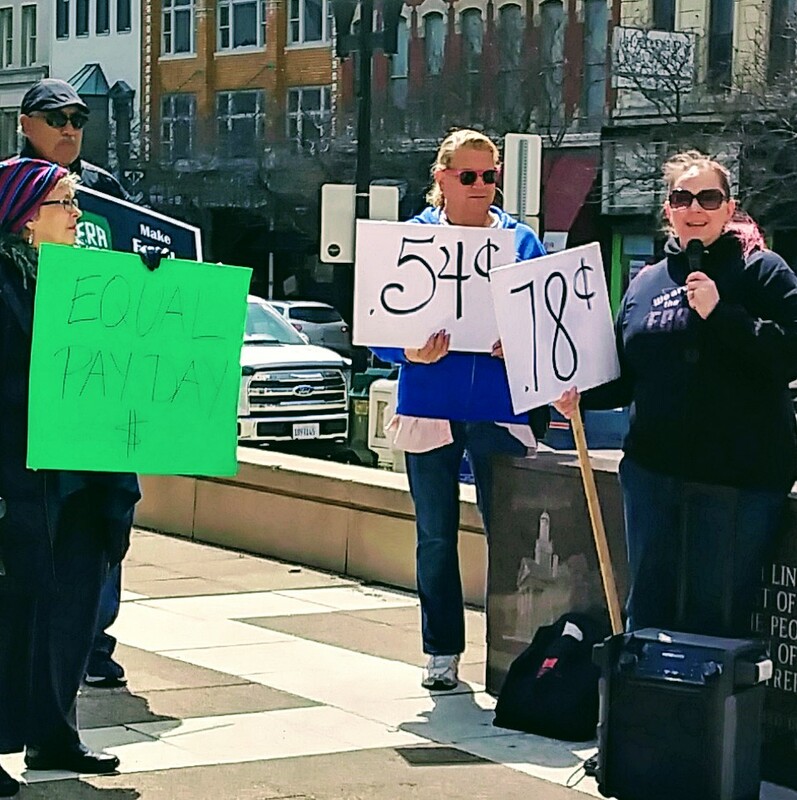 A noon-time rally for Illinois passing the Equal Rights Amendment was held this past Tuesday in downtown Peoria. 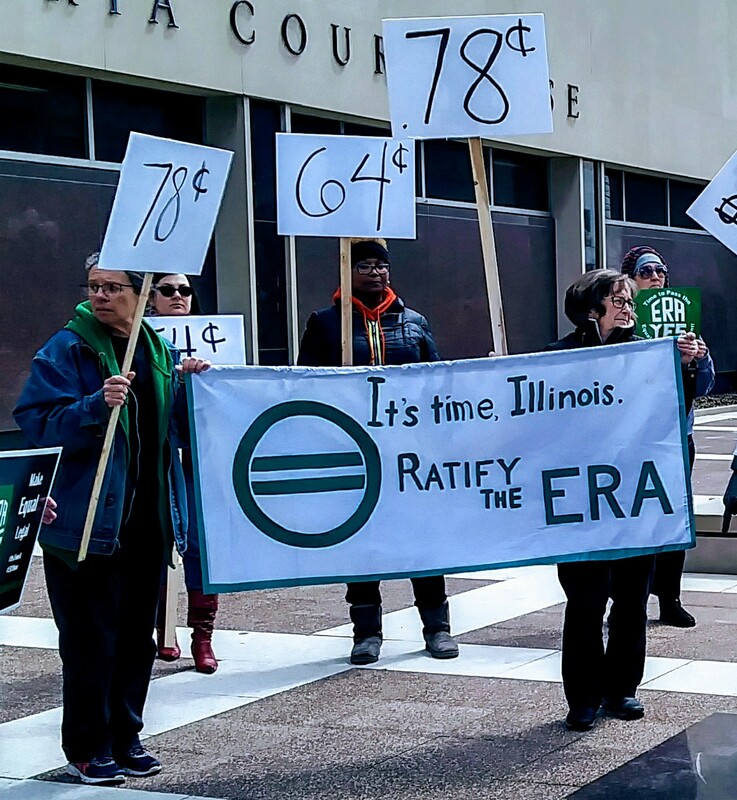 I can’t believe Illinois has not yet passed the ERA. But it actually got a little closer the next day when the Illinois Senate passed the federal ERA amendment. The state House now needs to take up and pass the measure this year. It’s a complicated process better explained in this Chicago Tribune article. 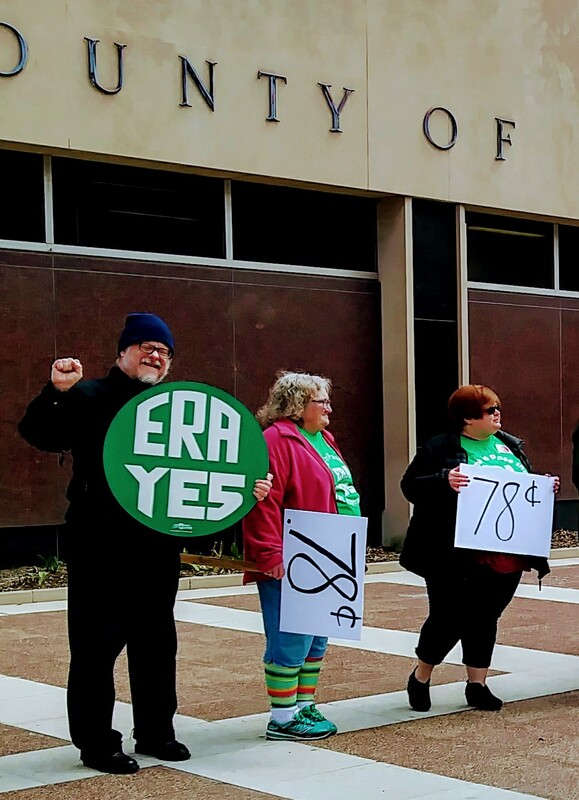 The boisterous progressive crowd of several dozen ERA backers heard short speeches from the people attending, yours truly included. 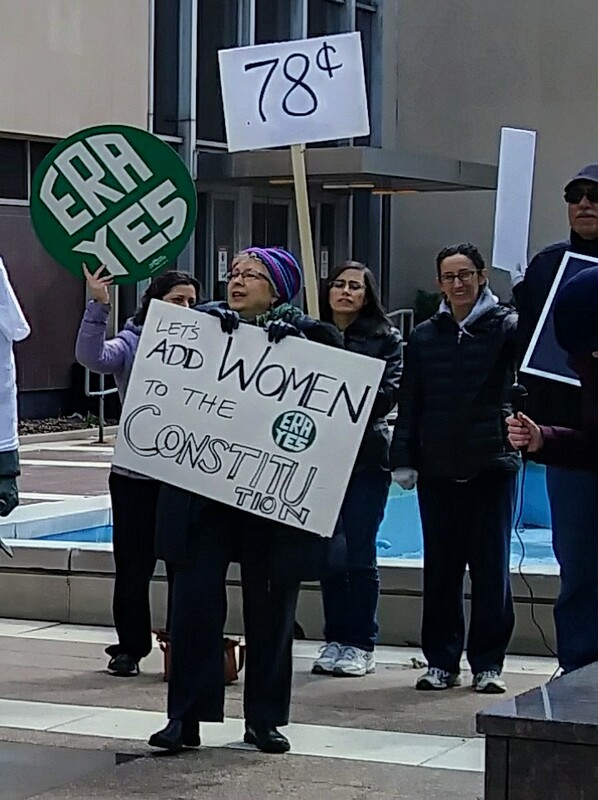 Several women reminded the attendees that although white women make less than their male counterparts, women of color earn even less. And transgendered people are in the same leaking wage boat. We chanted ERA! All the Way! and the sound ricocheted off the tall downtown buildings, and for a few moments again I was incredibly proud of our liberal advocates in the River City. Several white males walked past the crowd and voiced support for the measure. When I said they should stand with us, getting back to work inside the courthouse was their response. They didn’t miss a step and just kept walking.